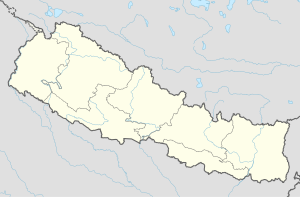 Chilaunebas is a village development committee in Syangja District in the Gandaki Zone of central Nepal. At the time of the 2011 Nepal census it had a population of 2722 people living in 662 individual households. ^ "Syangja VDC Level Report" (PDF). Central Bureau of Statistics. Archived from the original (PDF) on 2014-10-26. This page was last edited on 15 June 2017, at 14:50 (UTC).